ringworm, tapeworm, and others. Wormwood is used in closet and drawer sachets, as a bitter aromatic and as an ingredient in liniments. Food Grade Diatomaceous Earth is high in silica, which helps to build hair, skin, and nails. It is often used in cosmetics and occasionally for internal detoxification and cholesterol balance. Many of today's bulking agents and internal cleansers produce noticeable and seemingly beneficial effects. However, it is important to proceed with care when using such products. While most bulking fibers are beneficial for elimination, they can impair assimilation, or may include dependency forming laxative agents, such as buckhorn, cascara, rhubarb, or senna. Planetary Herbals Tri-Cleanse is different. 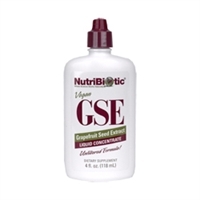 It is formulated specifically to support digestive and eliminative functions without causing weakness or dependency. Some of the most highly respected bulking fibers, including psyllium and flax seeds, are combined with the legendary Triphala combination of Ayurvedic herbalism, and with the digestive-supporting warming carminatives anise and ginger. The result is a comprehensive approach to internal cleansing. Enzymes are responsible for releasing valuable nutrients from food. 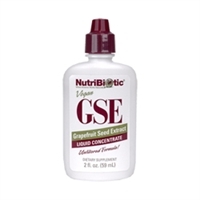 Plant enzymes support healthy digestion and are recommended for athletes, seniors, and those looking for additional digestive support. Cod Liver Oil helps maintain healthy skin, bones, cells, eyes, and teeth. We combine Raw Apple Cider Vinegar, Oranges, Lemons, Horseradish, Onions, Ginger, Rosehips, Turmeric, Garlic, and Habanero for a mouth-watering, zesty version of this classic formula that will warm your soul from the inside out.